Excellence, Tradition, Know-How, Passion, Innovation: these values make up the DNA of our 10 exceptional brands. The talent of our collaborators is essential, as well as an open dialogue with our players around the world. Buffet Crampon brands pursue excellence in artistry and require perfection, beauty, and musical personality in each of their instruments. Beyond the common values that forge the union of the Buffet Crampon Group, we are very committed to cultivating the personality of our brands. It is our duty to protect their individual character. 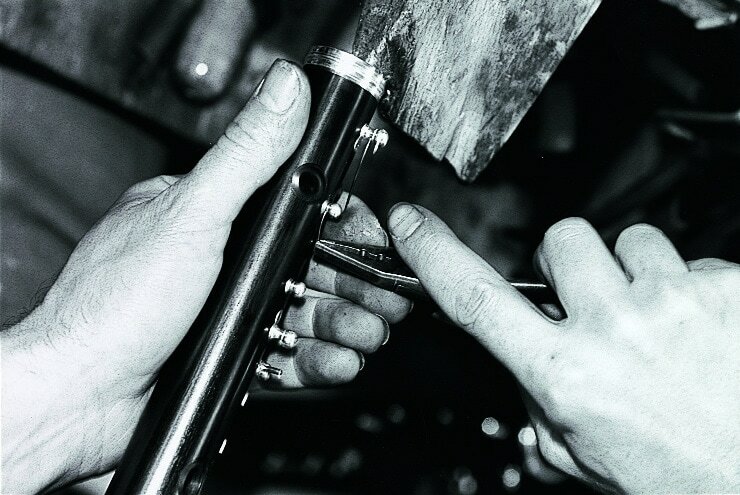 Our Buffet Crampon Group brands began centuries ago around exceptional craftsman know-how. This heritage is seen by the hallmark on our products: “Made in France”, “Made in Germany”, “Made in USA”, and also “Made in China” for our student range which is inspired by our professional instruments. Our know-how is complex and valuable because it takes time to acquire and relies on focused human interaction to hand down and develop the knowledge. Training often takes years. For this reason, it involves rercruiting young apprentices who have a passion for instrument making, providing them the means to inspire a taste for exceptional work, and putting them with seasoned instrument makers so they can build up their knowledge and develp their skills. Our exceptional know-how allows us to forge our identity together with the memory inherent in all our instruments so as to effuse the Buffet Crampon SOUND that is so well known. For almost 200 years, our ten brands have provided musicians with the unwavering excellence that puts their talent and passion to music.